A new network of Regional Pro-Vice-Provosts has been confirmed until 2021, with three new academics joining three UCL colleagues who have been reappointed for a second term. Continuing in their roles for a second and final term are Professor Brad Karp (North America), Professor Ijeoma Uchegbu (Africa and the Middle East) and Director Katharine Carruthers (East Asia). Dr Uta Staiger will continue her first term as Pro-Vice-Provost (Europe) until 2021. 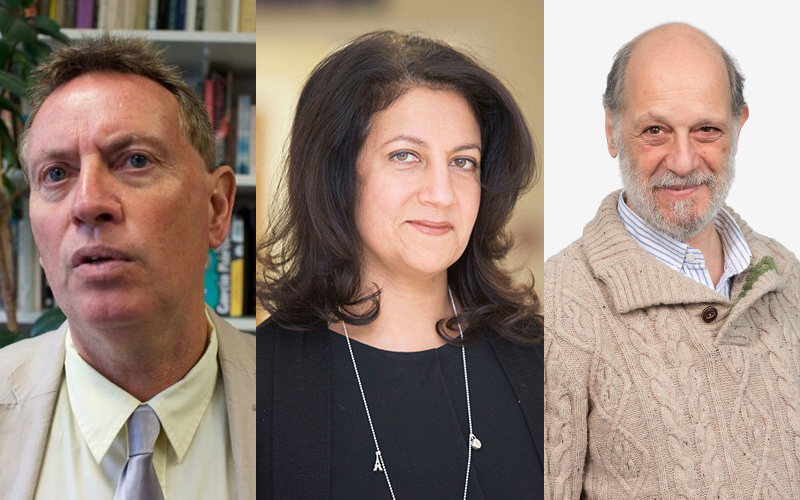 Joining them are newly appointed Professor Monica Lakhanpaul (South Asia), Professor Claudio Stern (South East Asia and Australasia) and Professor Stephen Hart (Latin America). UCL’s network of seven Regional Pro-Vice-Provosts work with the Vice-Provost (International), Pro-Vice-Provost (International) and Vice-Deans (International) and colleagues across the university to bring the Global Engagement Strategy, a principal theme of UCL 2034, to life. Commenting on her reappointment, Professor Ijeoma Uchegbu, Professor of Pharmaceutical Nanoscience at the UCL School of Pharmacy, said: “I am really pleased to be reappointed as Pro-Vice-Provost for Africa and the Middle East. The reappointment will enable us to build on our successes so far, and create some new ones. “We have the largest and most engaged regional network in UCL, having tripled the membership to over 500 members. Newly-appointed Professor Claudio Stern, Professor of Anatomy and Vice-Dean (International) at the Faculty of Life Sciences, also welcomed news of his appointment. He said: “I am very pleased to be appointed as Pro-Vice Provost (Regional) for South-East Asia and Australasia. There are enormous opportunities for engagement with this large and extremely diverse region. Professor Stephen Hart, echoed this statement. He said: “I'm really looking forward to working with the team in the Vice-Provost (International) Office, forging new and dynamic partnerships in Chile and Mexico, and drawing inspiration from the UK's world-renowned track in Soft Power to do so. Commenting on the new appointments, Dame Nicola Brewer, UCL Vice-Provost (International) said: “Bringing together diverse perspectives and disciplines speeds up the process of discovery, and UCL’s Regional Pro-Vice-Provosts play a crucial role in enabling colleagues from different faculties and stages in their careers to come together to do just that.